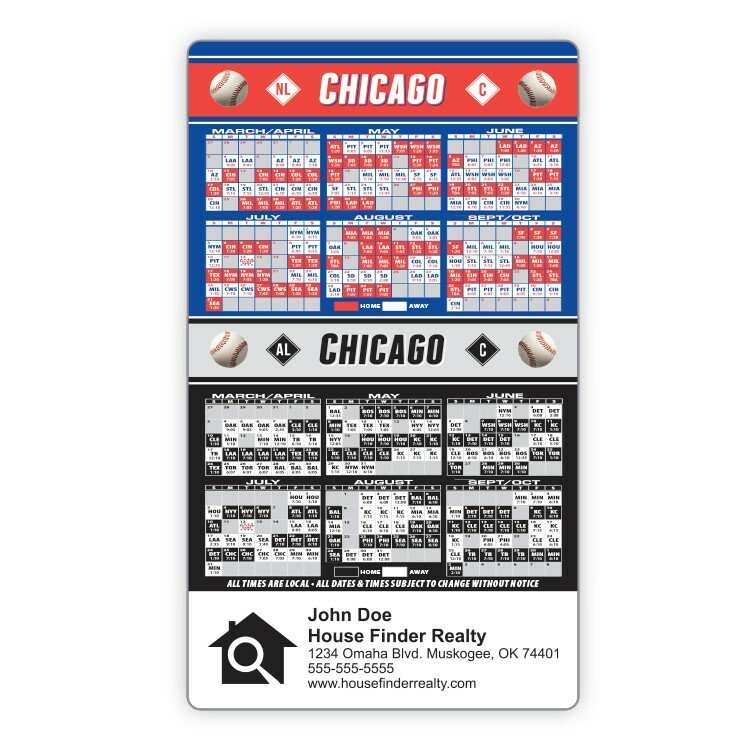 Promote Yourself While Showing Your Team Spirit All Season Long with Magnetic Business Card Pro Golf Tour Schedules. 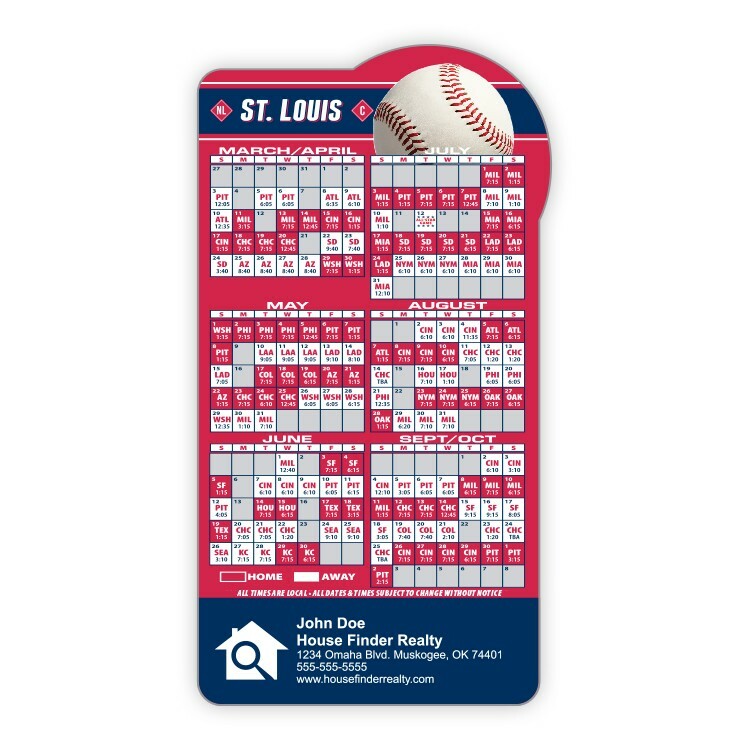 By adding your business card you have an instant imprinted gift item for trade shows and sales meetings, or use for sales calls and prospecting. 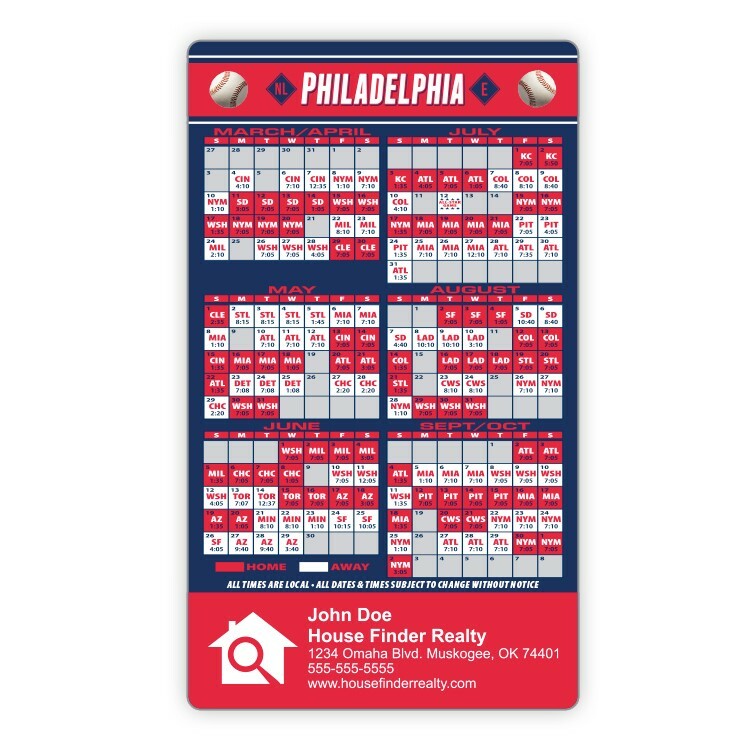 Simply peel off the protective liner and press your business card onto the exposed adhesive for an instant imprinted specialty item. 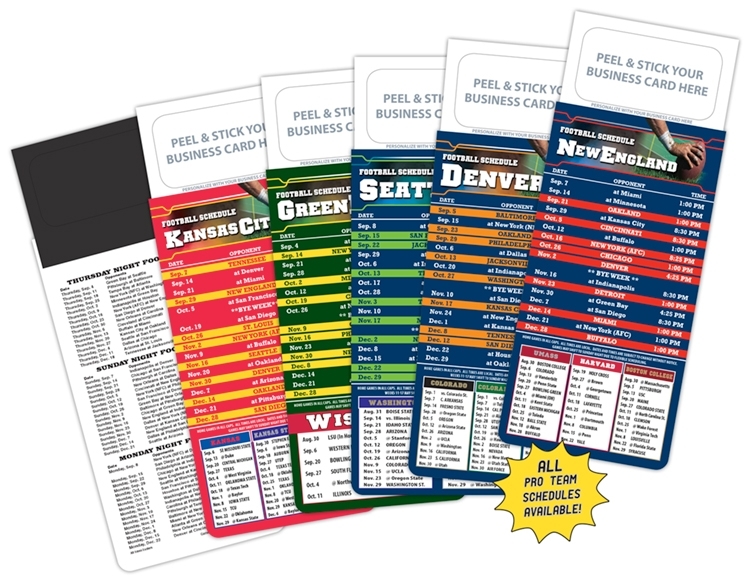 Keep a stock on hand for the sales force and show your sporting spirit while you promote yourself! 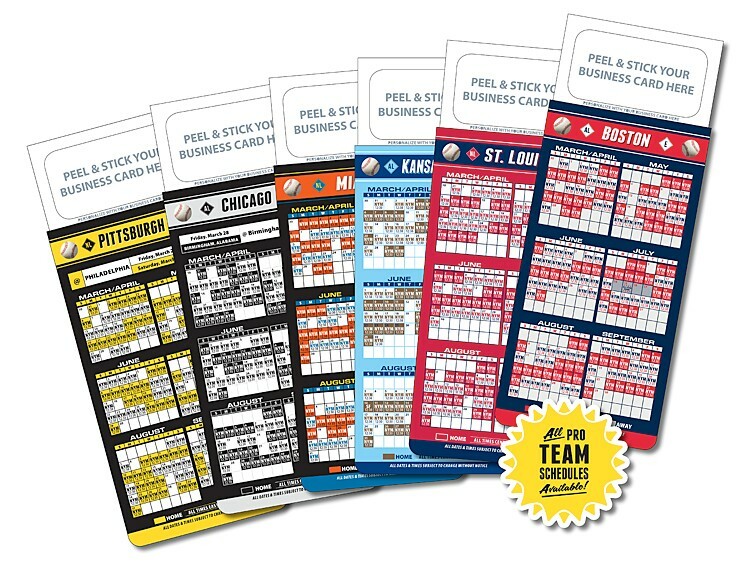 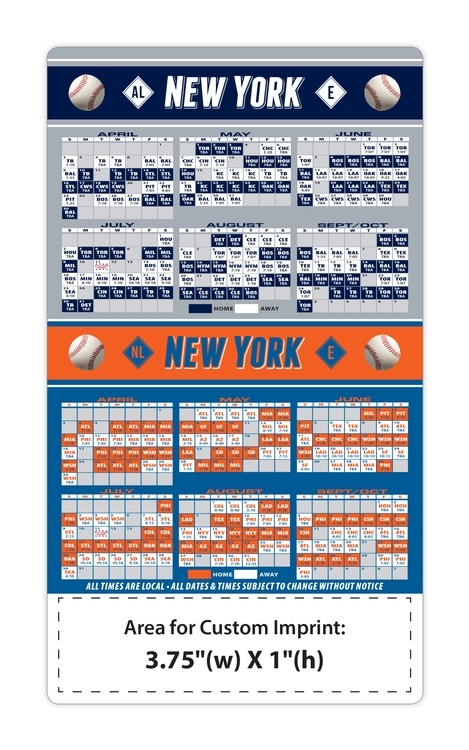 Promote Yourself While Showing Your Team Spirit with Magnetic Business Card Hockey Schedules. 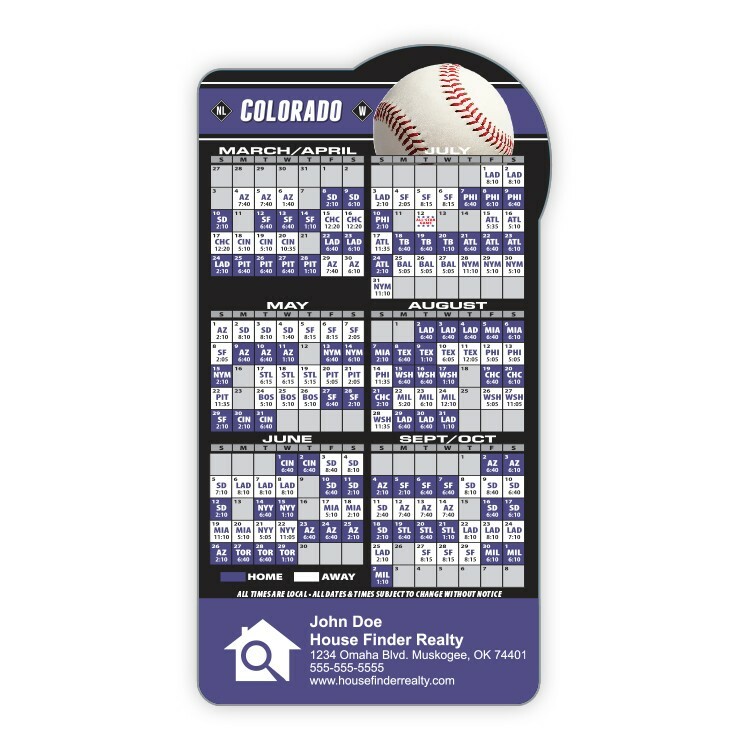 By adding your business card you have an instant imprinted gift item for trade shows and sales meetings, or use for sales calls and prospecting. 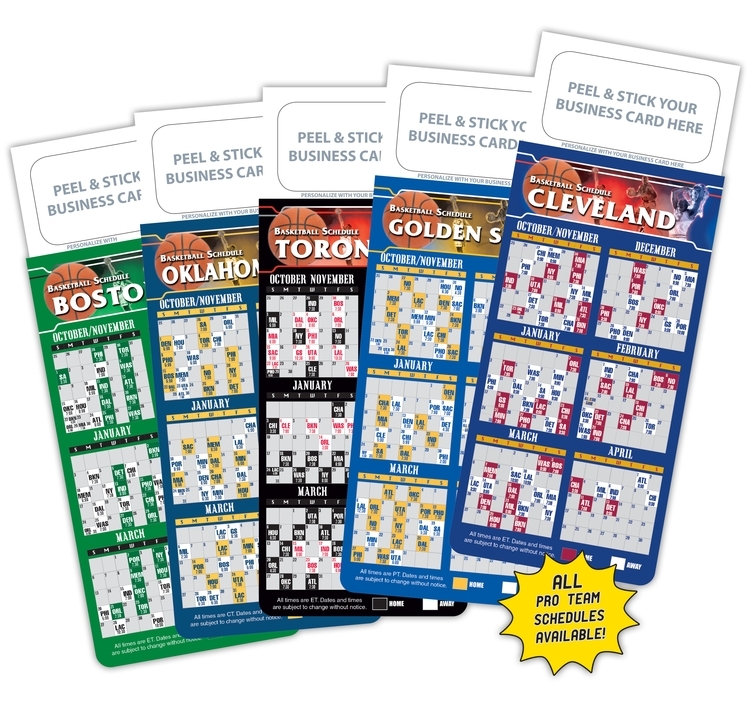 Simply peel off the protective liner and press your business card onto the exposed adhesive for an instant imprinted specialty item. 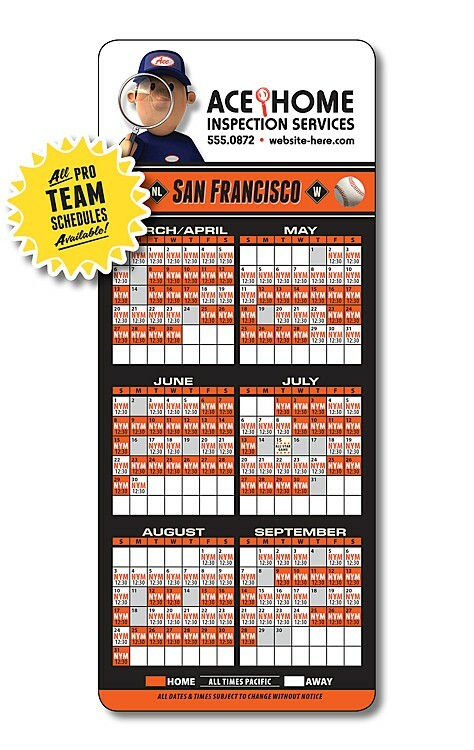 Keep a stock on hand for the sales force and show your team spirit all season long. 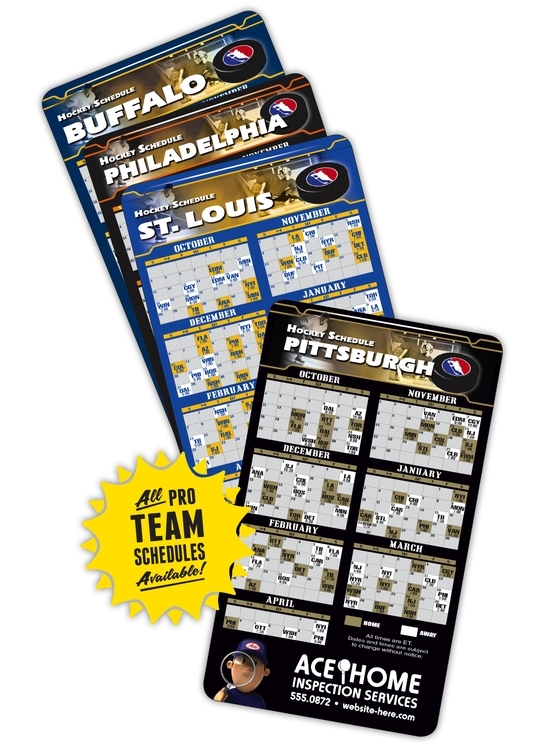 Under Options tab, click on "Click to Choose Hockey Schedule" to view all teams listed. 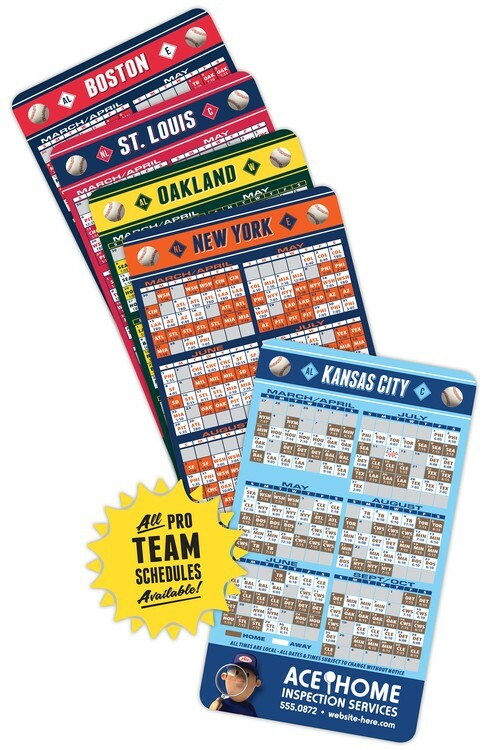 All Pro Teams available. 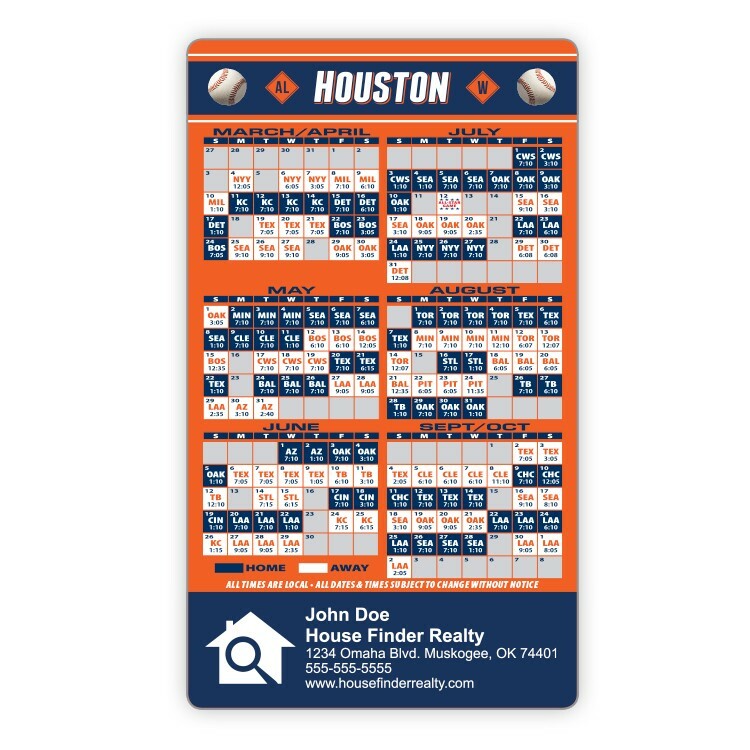 Promote Yourself While Showing Your Team Spirit with Magnetic Business Card Soccer Schedules. 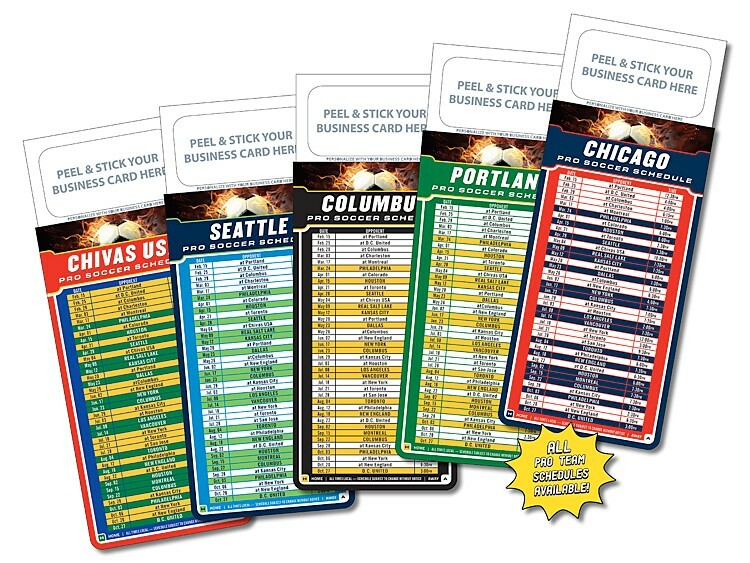 By adding your business card you have an instant imprinted gift item for trade shows and sales meetings, or use for sales calls and prospecting. Simply peel off the protective liner and press your business card onto the exposed adhesive for an instant imprinted specialty item. 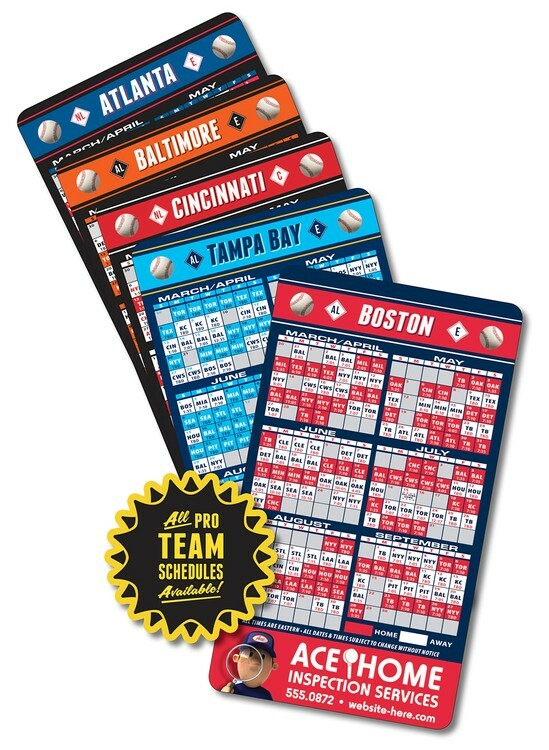 Keep a stock on hand for the sales force and show your team spirit all season long. 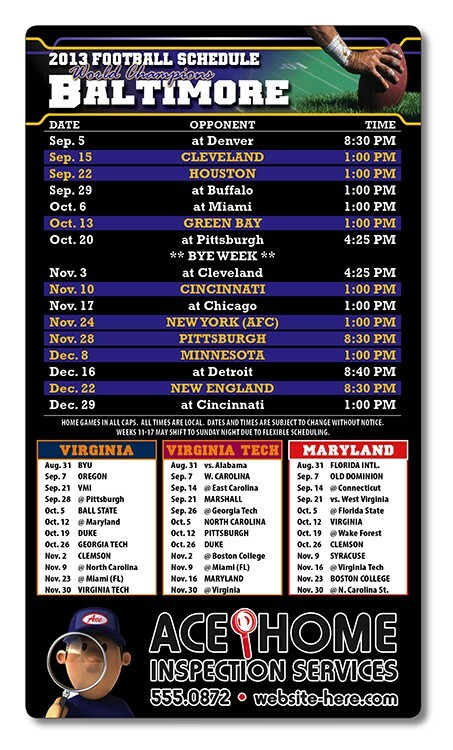 Under Options tab, click on "Click to Choose Soccer Schedule" to view all teams listed. All Pro Teams available. 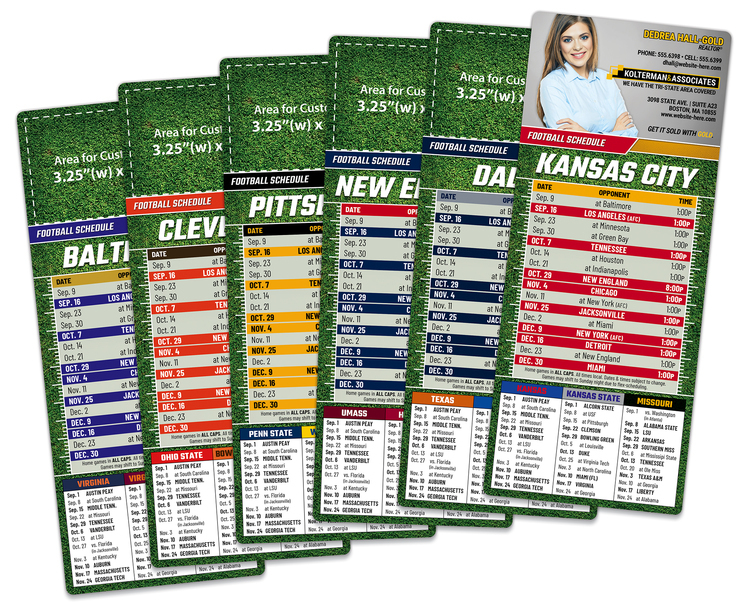 Magnet Sport Schedules - 3.5x8.5 Football Round Corners - 20 mil. 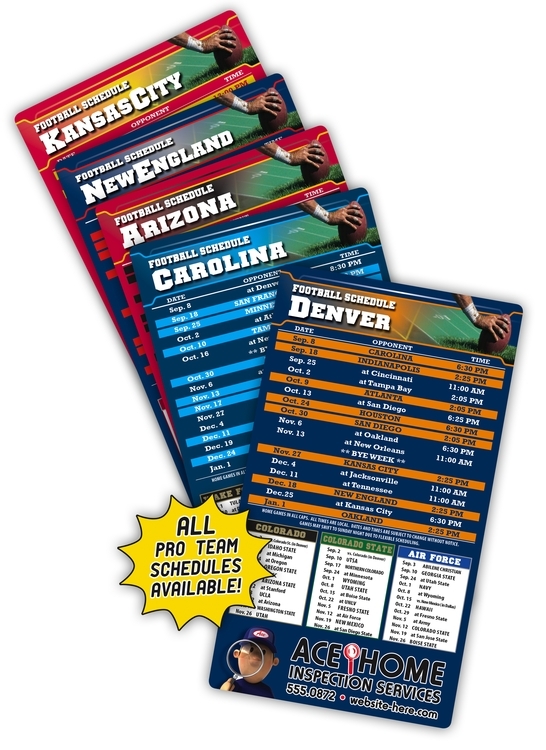 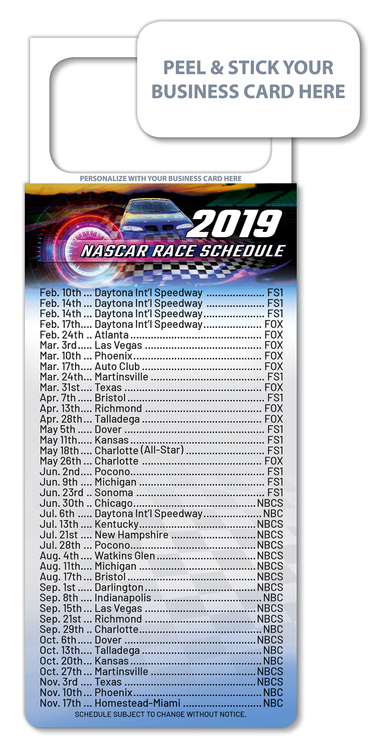 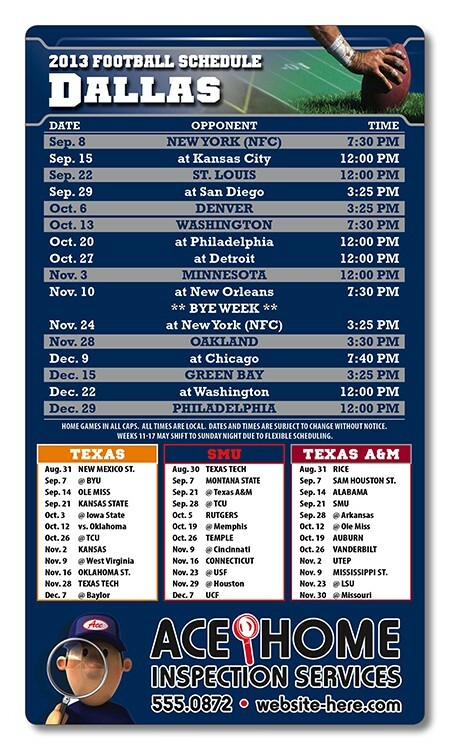 Available with the schedule of any of the professional football teams, collegiate teams or your local school. 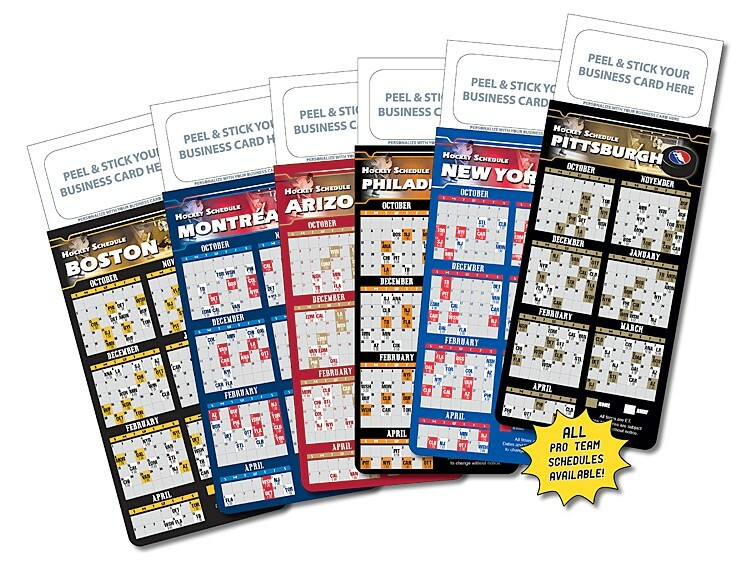 You can have an instant imprinted gift item for trade shows and sales meetings, or use for sales calls and prospecting. 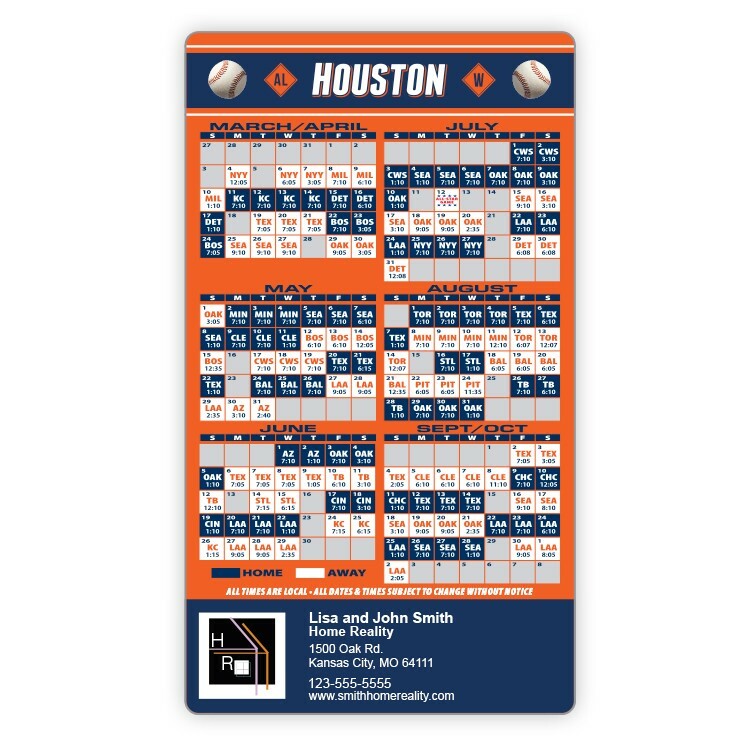 Rectangle Magnets make a beautiful product to give to your customers. 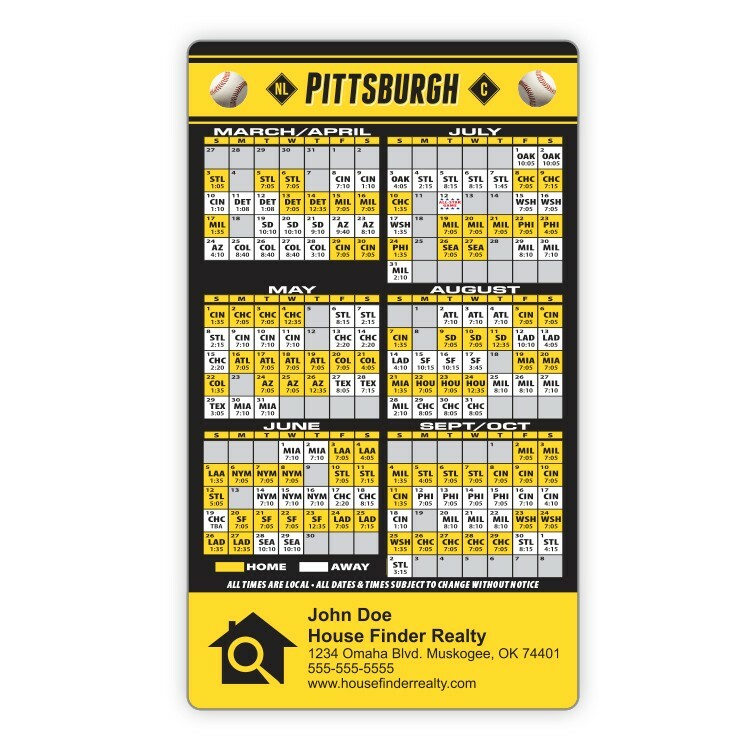 These magnets are printed in full-color and the 4 x 7 size makes a big impression that will last. 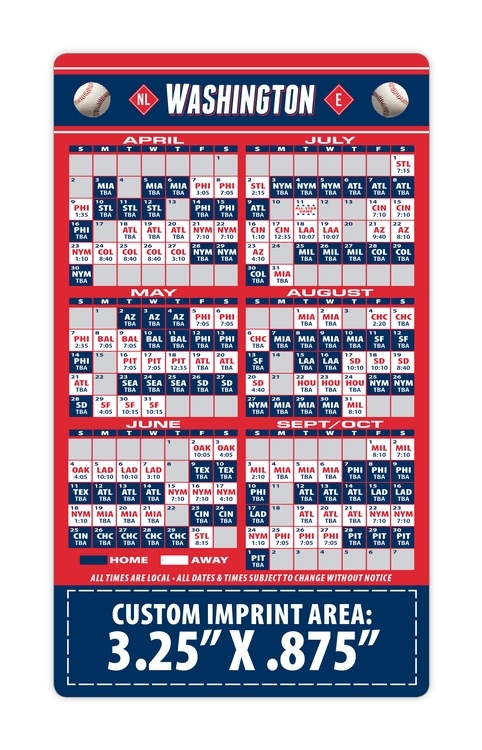 Custom Imprint Area in inches: 3.25 in. 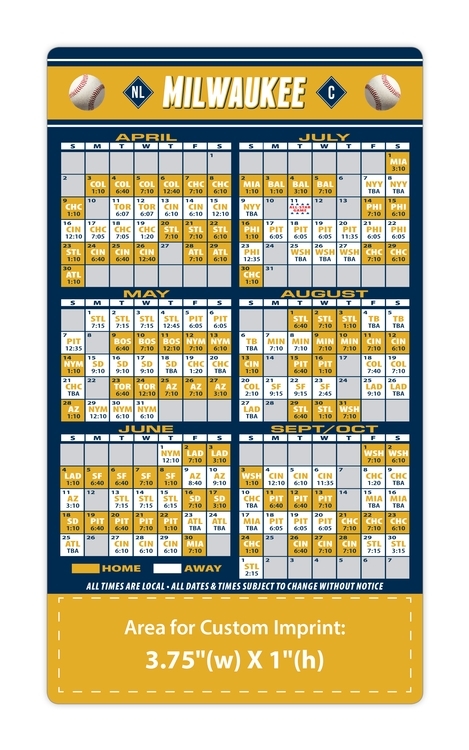 x 1.875 in.